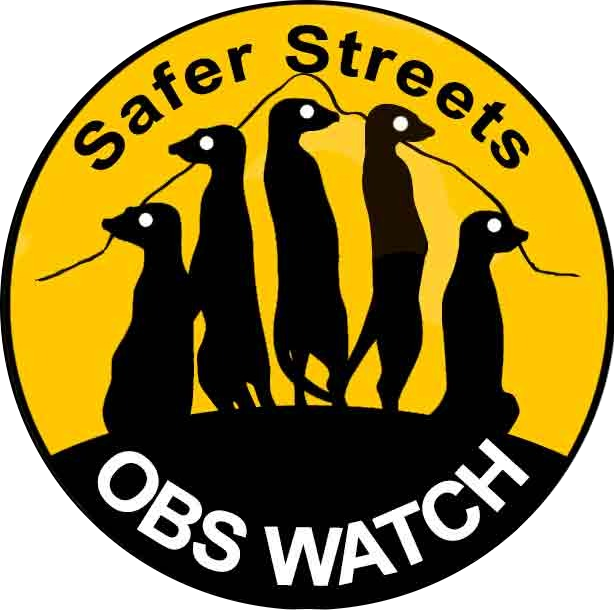 The Observatory Neighbourhood Watch will be holding its sixth Annual General Meeting on Wednesday 31 October 2012 at 7 pm in the Observatory Community Centre. Residents and business owners are invited to attend, ONW members are urged to show their full support. The ONW acting as “eyes and ears” for the Police and the Observatory Public Safety team would give feedback concerning how we have helped to make the difference in crime and will update the community and members concerning the two-way radio network, camera surveillance, a street party held and other important information. Challenges for the coming AGM, and the year ahead, include theelection of young and vibrant members onto the ONW Committee; to find good win–win partnerships and solutions, and to raise levels of awareness and support among residents and businesses in Observatory. Residents are encouraged to contribute in any way possible and in particular, to become active patrollers. Businesses have a space to work from and a sure role to play. This is your opportunity to show support, ask questions, provide input,to interact with the ONW and to enter the gateway for a safer suburb.